Sunday 22nd November, 10.30-4.00 at the Estepona Palacio de Congresos. Come and enjoy a family day out. 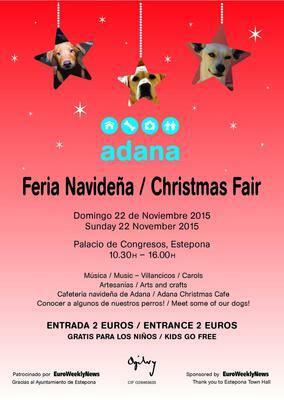 There will be lots of gift stalls, food, music, face painting and some Adana dogs will also be joining us.